Katie with a buddy at Big Sky Sanctuary. The photo is thanks to B – @binvfa on Twitter. Listen to this episode and subscribe to our podcast on iTunes. You can also listen to this episode on Stitcher, Cyber Ears or download it on Archive.org (30MB). 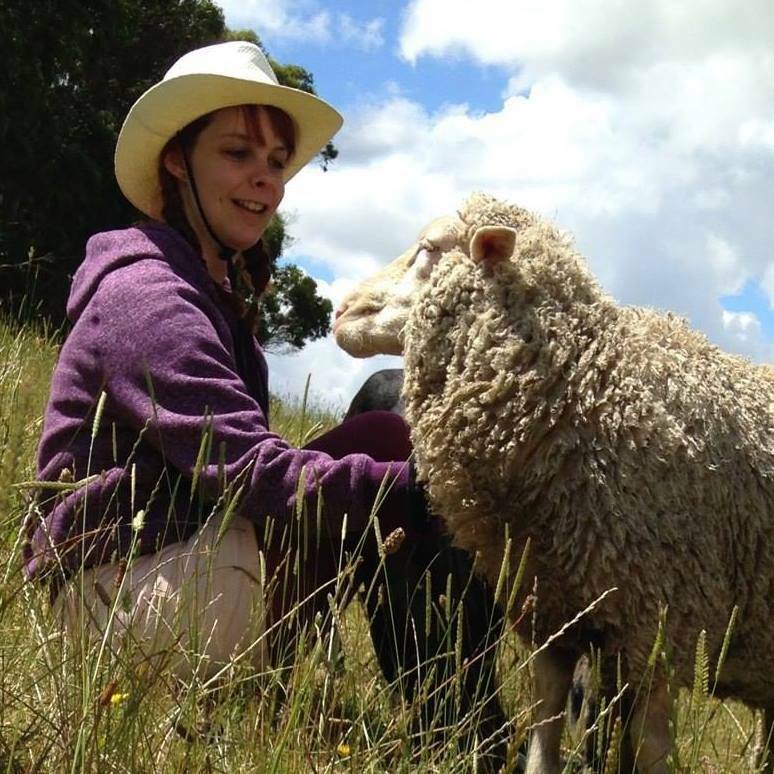 We’re joined by Naty Guerrero-Diaz, Penny Cameron and Melanie Ellis from Big Sky Sanctuary. Naty discusses the intersectional, feminist, abolitionist philosophy of Big Sky Sanctuary, as well as critiques of the vegan movement – including rejecting the idea of bringing veganism into the mainstream, as well as arguing that veganism is just one stop in a long journey for social justice. Penny and Mel discuss the animals at Big Sky Sanctuary, their campaign for a new barn for their sanctuary (which you can donate to – details here) and their heroes, Vine Sanctuary in the US. You can view our photos from our visits to the sanctuary here and here. It takes a lot of money to take care of all of the animals at Big Sky, so we really encourage people to give a donation if they can – you can find their bank details here. We also encourage people who live in/visit Melbourne to check out Las Vegan! Junto ‘Love Your Friends’, Interview with Naty Guerrero-Diaz, Not Right ‘Intersectionality Song’, Interview with Penny Cameron and Melanie Ellis, Malvina Reynolds ‘Little Boxes’, Luc from Team Earthling’s singing skills. You can listen to a short (7 minute) version of this episode, which features a shortened version of the interview with Naty, here: Big Sky Sanctuary on Feminism, Intersectionality and Abolitionism. You can subscribe to these short versions of our episodes through Omny.